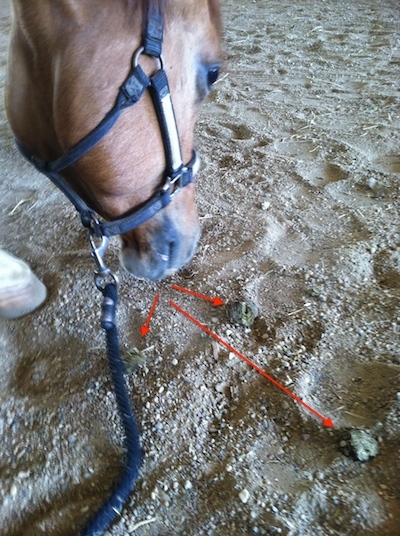 A Horse's View: Alfalfa cubes or manure? It was good to see you two weeks ago at the horse show in Ohio. The trip was long going home but we finally made it back to Texas. Do you remember how I was eating those cube things when I was at the show? I think they were called alfalfa cubes or something. Mom always puts water on them and I try to grab them out of the water before they turn to mush. I like them better when they are hard. I was excited when we arrived back in Texas to see that a bunch of the cubes had been spilled all over the ground! I grabbed the nearest one before mom could put them in a bucket and get them all wet…..
…only it turned out that they were NOT hay cubes at all. I spit and spit and spit but the taste is still in my mouth. Ewww! Poor Newt….well I’m thinking that little “nugget” of a lesson won’t soon repeated or forgotten! My mare just recently did the same thing. Here in eastern NC hay has been hard to come in the last month so I was giving cubes and pellets soaked twice a day. Well I think she thought she hit the jack pot until she tasted one. It was so funny she dropped it and kept shaking her head lol. I have a hilarious story about my son, he was about 3 at the time. 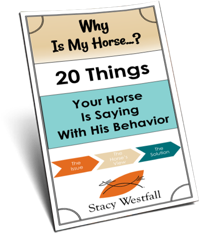 We were at a clinic having lunch and he’d managed to find a chocolate cookie, while we were all eating he was wandering around the arena about 30 metres from us, he bent down near a pile of manure and picked up something off the ground and proceeded to put it in his mouth, about 6 of us watching all jumped up and started yelling “no, no, put it down” at him. He was dumbfounded as he’s just been putting his cookie in his mouth while we all thought he was eating poo!! Don’tknow if you have read the book Beautiful Jim Key.It is a must read for any body who loves horses. I haven’t but I just read the Amazon review and I think I will. Sounds great and historical. bahahahahahahahaha….I just LOVE NEWT!!! …….. I have tears running down my face…. I think I woke up the dead with my cackling laugh out loud!!! ……. I can soooo hear him saying this……toooo funny!!! 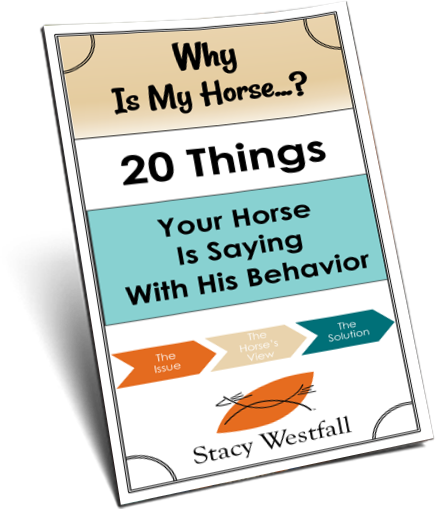 Newts BLOGS are almost as good as yours Stacy!!! Haha that is great! Love your blog, thanks for sharing your knowledge!